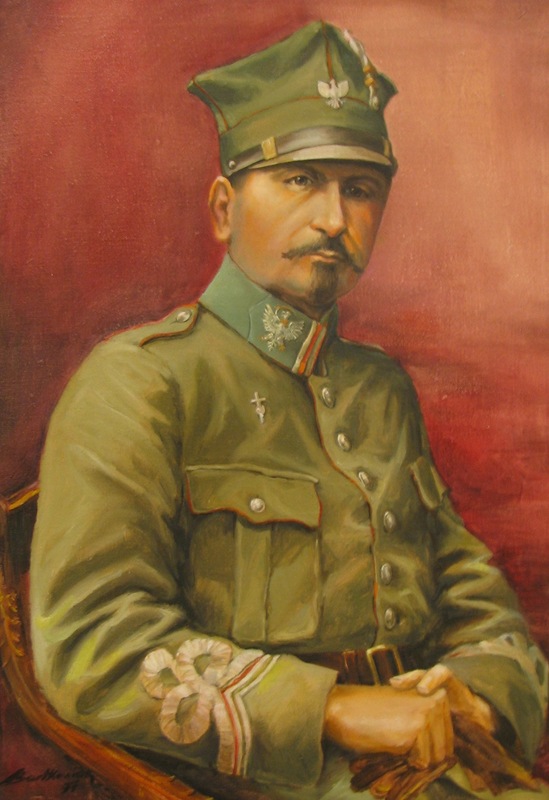 Józef Dowbor-Muśnicki (Iosif Romanovich Dowbór-Muśnicki; 25 October, 1867 – 26 October, 1937) was a Polish military officer and commander, serving with the Imperial Russian and then Polish armies. He was also the military commander of the Greater Poland Uprising. In the immediate aftermath of the February Revolution, Dowbor-Muśnicki continued his military career and was appointed commander of the XXXVIIIth Corps on April 28, 1917 and made Lieutenant General on May 5, 1917. In the meantime, however, the Russian Provisional Government's obvious weakness, its half-hearted declaration of the right of nations to self-determination and Germany's promises of autonomy in occupied Poland stirred up long suppressed nationalist feelings among ethnic Poles living within the Russian Empire. Roughly 700,000 of them were serving in the Russian military by 1917 and they began forming a Polish army to fight for a "united and free Poland" with the assent of the Provisional Government. In August, the newly formed Main Polish Military Executive Committee appointed Dowbor-Muśnicki Commissar of the Petrograd Military District and on August 23 (Old Style) he was appointed commander of the newly formed Polish 1st Corps in Russia. The reorganization process was complicated by the October Revolution of 1917, which brought Bolsheviks to power, but Dowbor-Muśnicki was able to take advantage of the new government's weakness and general anarchy to form 3 divisions in Belarus by January 1918. On 25 January 1918, Dowbor-Muśnicki refused an order by the Soviet government to disband the Corps, which quickly led to clashes with the newly formed Red Army and Red Latvian riflemen under Ioakim Vatsetis. After sporadic fighting in late January, on January 31 Dowbor-Muśnicki's Corps had to retreat to Bobruisk and Slutsk, where he was surrounded by German forces. After the temporary breakdown of the Brest-Litovsk peace negotiations on February 10, Dowbor-Muśnicki joined the German offensive against the Bolsheviks on February 18 and took Minsk. After the signing of the Brest-Litovsk Peace Treaty, which gave all of Poland and Belarus to Germany, Dowbor-Muśnicki's corps remained in Belarus for 3 months, regrouping and performing police duties under German occupation authorities. In May 1918, Dowbor-Muśnicki was forced to sign an agreement with Germany that led to the disarmament and effective dissolution of the Corps by July 1918, at which point he moved to Poland. The agreement was criticized by some pro-independence Polish politicians, but it preserved the core of the Polish military, which proved decisive later that year. After the armistice that ended World War I in November 1918, Dowbor-Muśnicki helped organize a new Polish army around the disbanded 1st Corps and its officers. On January 6, 1919 he was nominated by the Supreme People's Council, the temporary ruling body of the province of Greater Poland, as the new commanding officer of all the Polish forces in the area. Two days later he arrived to Poznań and on January 16 he officially assumed his post, replacing Major Stanisław Taczak during the Greater Poland Uprising against Germany in the disputed region. During his service as the commander in chief of the Uprising, Dowbor-Muśnicki was responsible for almost complete reorganization of what was started as a para-military partisan force. He introduced conscription and mobilized eleven classes of recruits and reformed the partisans into divisions. During his command, the Greater Polish Army grew from merely 20,000 to over 100,000 soldiers, well-armed and well-equipped. It is to be noted that, after the Battle of Ławica in which the Poles managed to capture the airfield, the Greater Polish Army was the fourth force in the world in number of aeroplanes available. Dowbor-Muśnicki focused also on political matters and strived for political neutrality of the forces under his command, which made him demobilize some of the leftist and rightist officers. He also disbanded the leftist soldiers' councils. To some extent Dowbor-Muśnicki was conflicted with the Polish General Staff. 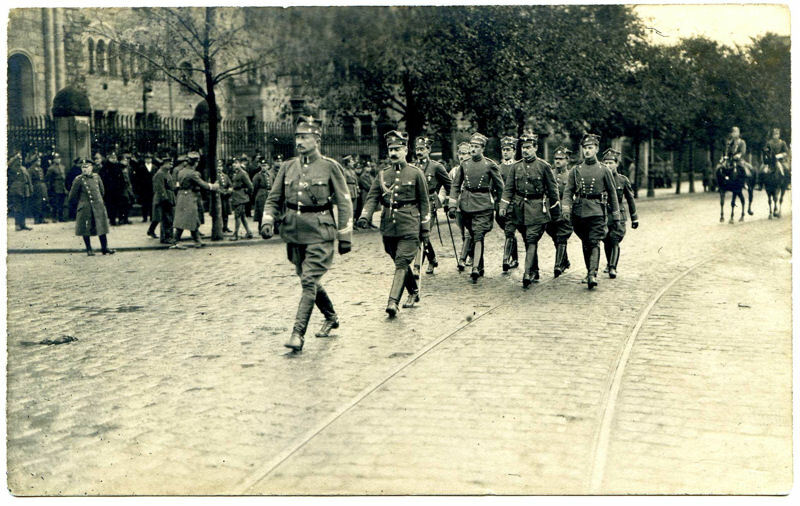 Due to difficult diplomatic situation of Poland during the early stages of the Paris Peace Conference, the forces of the Greater Poland Uprising were separated from the Polish Army and were thought of as a separate entity. Because of that, he opposed drafting Poles from Greater Poland into the Polish Army and sending them to the fronts of the Polish-Ukrainian War and the Polish-Bolshevik War. Instead, he envisioned an offensive towards north which would spread the Uprising to the lands of Pomerania. However, after the area was peacefully transferred to Poland, his plans were made obsolete. Despite the conflict, on March 19, 1919 he was promoted to the rank of Generał broni, the highest rank of the Polish forces at that time. Finally, after the end of hostilities, on October 19, 1919 the Dowbor-Muśnicki's forces were merged with Józef Haller's Blue Army and the Polish Army while at the same time the lands of Greater Poland were officially incorporated into Poland. Józef Dowbor-Muśnicki remained the commander of the so-called Greater Poland Front until the outbreak of the Polish-Bolshevik War, after which he resigned his post and applied to Józef Piłsudski for a new assignment. After General Stanisław Szeptycki declined to take the post of the commanding officer of the Ukrainian Front from General Wacław Iwaszkiewicz, the post was offered to Dowbor-Muśnicki, who refused. Having no further assignments, in March 1920 he resigned all his posts in the army and settled in Lusowo and then in Batorowo near Poznań.